KAPAX Solutions LLC (hereby referred to as KAPAX Solutions) is an Small Business Administration (SBA) certified 8(a) and woman owned small business (WOSB) providing quality management and IT consulting services to government agencies and commercial entities. Our mission is to increase the agility of business operations by driving efficiency into workforce and customer management, technology development and enterprise processes. We are a flexible, energizing company that is well respected and accountable for delivering customized services which produce efficient results. Our service model contains four major areas which allow us to offer unmatched coverage of our client’s needs. Our company thrives under the leadership of its founder, Katrecia Nolen. With her educational foundations in Industrial Engineering she had developed a stellar career in aerospace, defense and intelligence. She understands her customers business and sets corporate expectations to satisfy the customer needs with business knowledge, skill and excellent customer service. 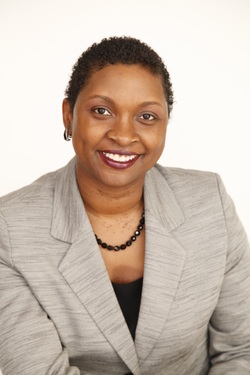 With over 16 years of combined professional experience as a systems engineer and consultant for Fortune 100 corporations, Katrecia has worked in support of senior level executives to enhance corporate and project level collaboration and developed strategic governance policies and initiatives that drives corporate efficiency.